Hold on baby, you got something stuck here. I didn't know dogs liked parsley! But a (dog) friend in need is a friend indeed! Dogs seem to approve of any dropped food. Always glad to help out a rabbit or human or anyone with the tidying up. Gosh, I am glad to hear that the doggie was getting something out of this. 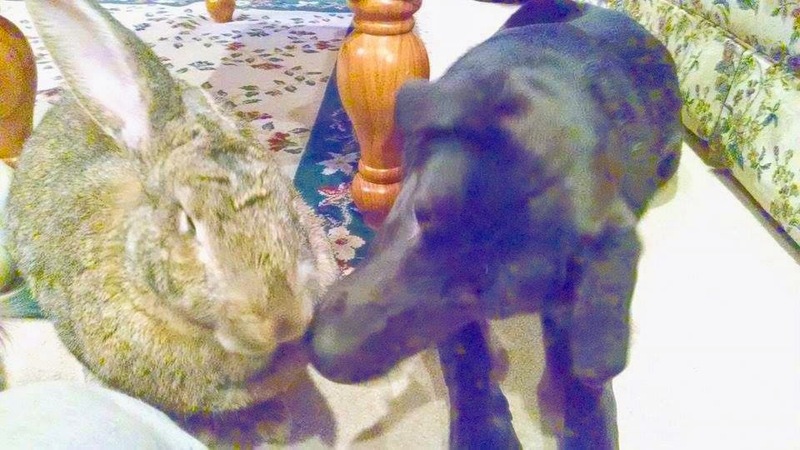 I woke up this morning to the shocking thought that dogs served rabbits, too. Well, I guess maybe it makes sense to think of man's best friend trudging down this road along with us, too.